Death sentences in the U.S. are at a record low. Will Dallas reverse that trend? Is Capital Punishment Making a Comeback in Dallas? Death sentences in the U.S. have reached a record low, even in Texas. A new district attorney might reverse that trend. When the Dallas police found Erbie Bowser on an August evening in 2013, he was face-down on the floor reciting his name, rank, and serial number like a military prisoner of war. “I’m in here, this floor’s been cleared—this floor’s been cleared,” Bowser, a black veteran, called to the police as they entered. At Parkland Hospital, medical staff noted that Bowser was delusional and confined him to a rubber room where he tore at his clothes before doctors could stabilize him. Police had been seeking Bowser in connection with the murders of his girlfriend, his girlfriend’s daughter, his estranged wife, and his estranged wife’s daughter. But the 44-year-old didn’t seem to realize what had happened or where he was. He believed he was still at war. Almost four years later, the newly ensconced district attorney of Dallas County has decided to push forward with a capital trial against Bowser. Given that just 30 people were sentenced to death in the United States in 2016, Faith Johnson’s push to send a mentally ill veteran to death row seems out of touch. Under the direction of a new and untested DA, Dallas might be one of the few jurisdictions in the nation to slide backward into the death penalty morass. During the past two decades, the United States has seen a rapid decline in the use of the death penalty. The number of new death sentences in the U.S. has gone from a peak of 315 in 1996 to 30 in 2016, an all-time low since the death penalty was reinstated in 1976. There are a few general reasons for this decrease in executions, among them the lack of available execution drugs, increased awareness about the role of mental illness, and more understanding about the biological and psychological effects of childhood abuse and trauma. The most decisive factor, however, has been the increasing reluctance of individual prosecutors to seek death. Beth McCann, the newly elected DA in Denver, has said she doesn’t think the death penalty is appropriate. Even in Louisiana’s Caddo Parish—the county responsible for the most death sentences per capita between 2010 and 2014—the new district attorney, James Stewart, has promised to re-examine capital cases. Nowhere is this change in outlook more obvious than in Texas, historically the killing-est state in a country that executes more people per capita than any other Western nation. And although Houston’s Harris County takes the prize for the greatest number of death sentences in the past four decades with 294, Dallas County comes in second, with 107 people sentenced to death since 1976. But Houston and Dallas, like the rest of Texas, are changing. Neither county has issued a death sentence since 2014. Wade was succeeded by Brian Hill and then Craig Watkins, the latter of whom served as district attorney from 2007 until 2013. Watkins sent 12 men to death row during his tenure, a period in which executions elsewhere in the nation fell sharply. While Watkins discontinued Wade’s obviously racist practices, the office still sent a hugely disproportionate percentage of black people to death row. Watkins also pursued the death penalty against people whose mental state should have rendered them ineligible. According to court papers, one death row inmate, Tyrone Cade, was borderline intellectually disabled and showed signs of schizophrenia; he had also suffered severe childhood abuse. Another, Gary Green, was sentenced to death even though he had been in a psychiatric hospital for mental illness shortly before he committed the crime. Watkins’ successor as district attorney, Susan Hawk, resigned late last year to seek treatment for her own severe and ongoing mental illness. Reports from her office describe an institution in disarray, with the Morning News reporting that Hawk worked fewer than 70 days in 2016. 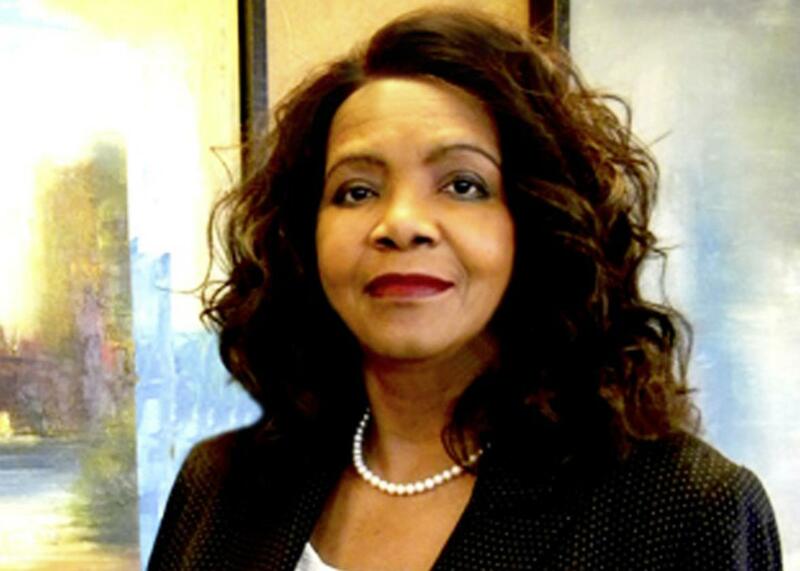 Enter Faith Johnson, a Republican, who in January became the first black female district attorney in the history of Dallas County. In some ways, Johnson is a product of the past. Henry Wade hired Johnson at the DA’s office in 1982. Seven years later, she became a criminal court judge. The 66-year-old Johnson, who has not tried a criminal case in 30 years, now must decide whether her office will move forward with a better understanding of mental illness and racial discrimination or revert to the county’s old ways. Johnson hasn’t expressed any specific views about the death penalty, although as a staunch Republican, she’s given no indication that she opposes it. The first major test of Johnson’s tenure came last month, when Texas executed Terry Edwards. Along with two co-defendants, Edwards had robbed a Subway sandwich shop. Edwards’ attorneys claimed that Dallas prosecutors illegally struck black jurors and that they portrayed Edwards as the person who shot the store clerk despite evidence to suggest he was in the store’s bathroom when the shots were fired. Neither of Edwards’ co-defendants, the acknowledged shooter included, received a death sentence. Indeed, both are now parole eligible. Johnson’s second big test is the capital case of a black veteran with a history of mental illness. When Erbie Bowser arrived at the hospital the night of the shootings, medical records indicate he was likely suffering from hallucinations and psychosis, symptoms that appear to have troubled him since junior high school. Bowser, who played football at Texas Christian University, joined the Marines after college. During his service, in which he participated in live-fire exercises, his symptoms—depression, sleeplessness, and headaches—worsened. As early as 2001, Bowser told a nurse, “I need help for my problems.” After serving for nine years, he was diagnosed with PTSD and discharged. Bowser was arrested for assault in 2011, a charge that was later sealed after his successful completion of the mandated participation in Dallas County Veterans Court. At the time of his murder arrest, Bowser was on more than a dozen medications, including sedatives and antipsychotics. While those with intellectual disabilities are excluded from the death penalty by a Supreme Court ruling, the mentally ill are not. But serious doubts remain about the constitutionality of executing those with serious mental illness. In recent years, both the American Bar Association and the National Alliance on Mental Illness have proposed outlawing this practice altogether. Meanwhile, the issue has caught on in state legislatures. So far this year, lawmakers from seven states—Indiana, Virginia, Tennessee, South Dakota, Idaho, North Carolina, and Ohio—have either introduced legislation to bar the death penalty for those who have serious mental illness or announced their intention to do so this session. There is also evidence that juries recognize that those with mental illness are inherently less culpable. In the trial of James Holmes, the man who killed 12 people and injured 70 in a Colorado movie theater shooting, jurors decided not to impose a capital sentence after hearing about Holmes’ severe mental health issues. In 2013, the Dallas DA’s office chose not to ask for the death penalty in a case that was factually similar to Bowser’s. A man named William Palmer was charged in connection with the stabbing of his wife and her parents in a brutal and bloody crime. Some of Palmer’s behavior indicated he was in control of his faculties, including the fact that he went home after the murders and prepared to go to work, even attempting to clean up some of the blood. Palmer, though, presented experts who testified that he suffered from mental illness, worsened by a change in medication and his wife moving out of the house. Palmer, a white man, was sentenced to life without parole. Bowser’s trial has now moved forward to jury selection. His lawyers hope to present evidence that a childhood history of abuse, repeated head injuries suffered during his football career, and his traumatic military training experience have exacerbated his mental illness to the point where the death penalty would be a cruel and unnecessary exercise in state power. While awaiting trial in prison and properly treated, Bowser has not been a danger to others. Rather, he has behaved as a model prisoner, so much so that he was moved into the general population rather than the section usually reserved for potential death row inmates. Faith Johnson’s silence before and after the January execution of Terry Edwards does not bode well for Bowser. Johnson did say recently, speaking about her Dallas DA’s office, “We’re still tough on crime. However, we’re compassionate, too.” If she wants to prove her compassion—and change Dallas County’s reputation as one of the execution capitals of the United States—using her discretion to prevent the execution of a black, mentally ill veteran would be a good, if unlikely, start.